Temporomandibular joint disorder, or TMJ, can be an extremely painful condition. TMJ disorder is actually a broad term used to describe several different conditions. 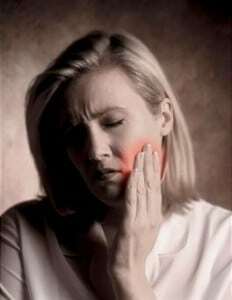 Each condition, however, relates to the swelling of the temporomandibular joint. This joint connects the mandible, or jaw, to the skull. The disorder may be characterized by either an acute or chronic inflammation of the joint, resulting in discomfort ranging from mild to severe. Several factors may contribute to the formation of TMJ. Often times, the temporomandibular joint is strained due to excessive lateral movement. For example, an individual may experience TMJ resulting from experiencing trauma that causes that jaw to slide laterally in an abrupt and forceful manner. Other times, TMJ may develop slowly over time due to a misalignment of teeth. Dentistry professionals have a long history of helping TMJ patients because of their knowledge of the jaw, teeth, and surrounding connective tissue. At Assure a Smile, patients receive a full TMJ scan as part of a comprehensive holistic dentistry teeth cleaning and consultation.